If you're looking to escape to one of the most unspoilt parts of rural England you can have it all in Lincolnshire. Situated in the East Midlands, it's one of England's largest counties second in size only to Yorkshire. 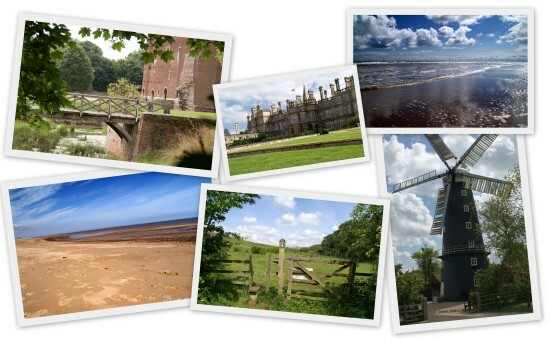 Whilst predominantly agricultural, Lincolnshire is also a county of great diversity from the iconic towers of Lincoln Cathedral to the miles of breathtaking sandy beaches along the Lincolnshire coastline. You'll find the beautiful, bustling stone town of Stamford a contrast to the rolling hills of The Lincolnshire Wolds. Lincolnshire is also home to some of the most well known seaside resorts in the United Kingdom such as Skegness and Cleethorpes. You'll also find an extensive and varied range of accommodation to suit most budgets, tastes and requirements. Self-catering cottages, hotels, lodges and bed & breakfasts are plentiful and can be found in and around some wonderful towns and villages and you'll find an extensive range of caravan parks along the coastline. Whether planning a holiday, a weekend break or just an exploration of this wonderful county, there really is something for everyone of all ages and interests!